Continuing our series of blogs by current Digital and Technology (DaT) fast streamers, Colin Pattinson writes about his first year experience and how the Fast Stream scheme has lived up to his expectations so far. I’ve had a rather eclectic past studying history, international relations and finally web science and having lived in both South Korea and China. I was drawn to the Digital and Technology Fast Stream scheme as it seemed a great opportunity to get involved with diverse projects and sample different working environments. It’s certainly lived up to that so far! My first post was at Royal Navy HQ on Whale Island in Portsmouth working on cyber security and data science projects. The first week of the job included spending time in an Army training camp and climbing in tanks and helicopters, while being taught about the culture of the armed forces. After a fun 6 months I was sent to be the sole DaT fast streamer in the Department of Health. Not only was it a new city and a new role but noticeably a different work culture and environment. 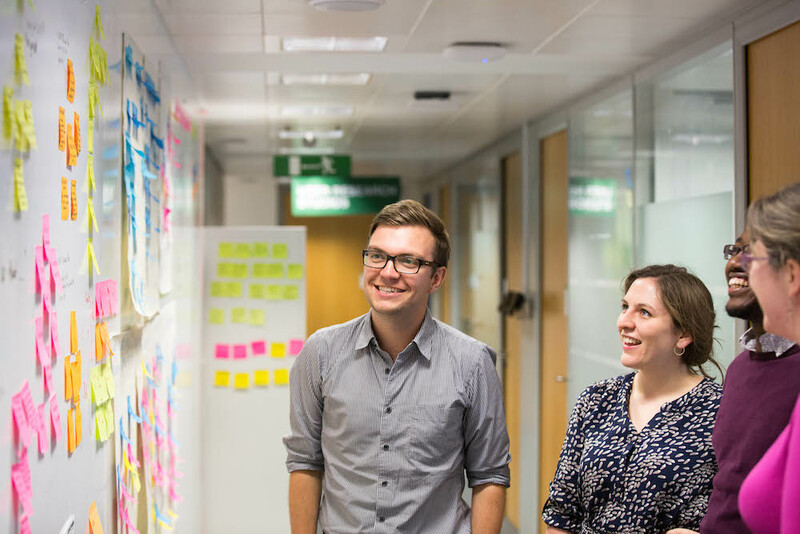 I have been involved with running user research sessions and leading compliance with digital standards for health and social care teams. I even had the chance to put my day job on hold and do volunteer work in the Permanent Secretary’s office. Soon I’ll be moving to my third post and third department. As a fast streamer, it’s essential to be flexible so I’m pretty open minded on where I go next. I would love to sample working in the Government Digital Service or get involved with the Department for Exiting the European Union if the opportunity arises. As for roles, being a product manager or a scrum master seems desirable, but there is a thrill in not knowing what I want to do. I know in my fourth post I’ll be out on secondment to industry or a charity, which should be a great opportunity to get experience in a different sector and work environment. The Digital and Technology Fast Stream scheme 2017 opens for applications at the end of September 2016. If you want to have an exciting role in government, transforming technology and building better digital services, register your interest now.